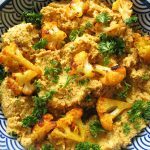 Place all of the cauliflower in a greased roasting pan, sprinkle with 3-4 tablespoons of oil and the garlic and use your hands to toss it around and coat it. Sprinkle evenly with the cumin, some salt and pepper and then enough panko crumbs to lightly coat all of it. Cut the butter into tiny pieces and sprinkle over the top of all of the cauliflower and then roast at 400 for 20 to 25 minutes. Super tasty side dish! Mike and Jen served your Zucchini with Parmesan the other nite when I was over for dinner. It was so very good and I have made it once myself. I have a really hard time finding recipes that will accommodate just one person. this is an excellent one. 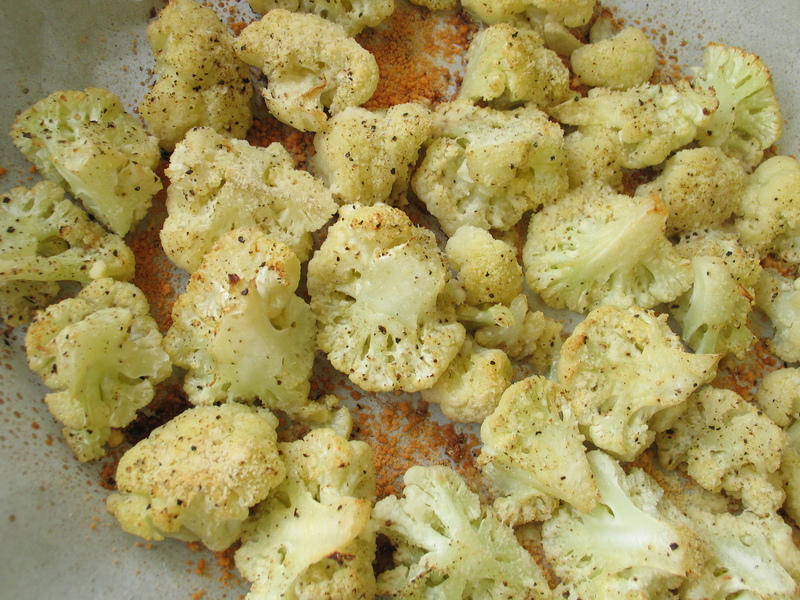 I have also printed the recipe for Deanna’s and Roasted Cauliflower. The are recipes that you can customize to size. Love it and your website is fantastic. I will keep looking through it.